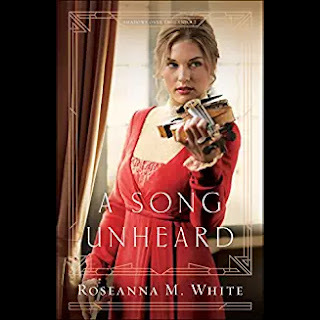 Roseanna White just keeps writing the best novels! Fascinating, intriguing, educational, emotional, suspenseful, beautifully written. These adjectives and many more describe this second novel in Roseanna’s Shadows Over England series. Willa Forsythe is a violin prodigy but is also a member of a self-proclaimed family of thieves in London in 1914. Her family is working for the mysterious Mr. V, thought to be a representative of the British government. Willa’s assignment is to steal a cypher key from a renowned Belgian violinist, Lukas DeWilde, who has escaped to Wales. Lukas’ father, a master with cyphers, has died and the Germans want his cypher key. His mother and sister, Margot, are hiding in Belgium in a friend’s house. They have to be careful because one of the boarders is a Nazi officer. Margot is very smart at thirteen years old. The Nazi plays a board game with her and she tries to flatter him by not playing smart. She has a way with numbers and math and it’s fun to see the workings of her mind. This was a thrilling story full of twists and turns but also a story about Lukas’ and Willa’s journey to surrender to a God who knows what is best for each of them. Will Willa succeed in finding and stealing the cypher key from her “mark” or will she succumb to his charm? What will Lukas do when he finds out she is a thief. Roseanna’s research shines through in this tale. It is very interesting to learn about this era in history centering on Belgian refugees. Her portrayal of music in a musician’s head is quite fascinating. The interaction between the members of this self-made family is very well written. wishing for the next offering to be released soon!" I always enjoy seeing the response to a book that I recall first as little snippets the author discusses while the story is just a seed. I recall Roseanna talking about her research for this book and I'm thrilled that it's been so lovingly received. Thanks Paula! 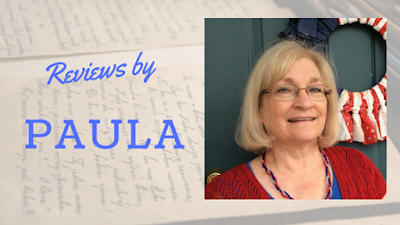 I'm so pleased that you'll be proving reviews for our readers! What a fantastic review! This book is on my TBR pile and I am eager to read it. Roseanna writes wonderful stories. Thank you, Paula! Thanks for such a warm welcome! Anita my husband was in the Navy and used to repair the crypto gear during the Vietnam War! We were on Guam for four years and our oldest son was born there. He wasn’t supposed to talk about things for 10 years afterward. Funny thing- he saw some of those things in a movie before the 10 years was up!